Every year I celebrate Boxing Day, December 26th in a couple of ways. First off I usually drop too much coin on movies and memorabilia that finds it’s way into the vault here at Mike’s Take and secondly I feature a few actors and maybe even some true life boxers who found themselves in the square jungle looking for glory. Real or imagined. For a look at previous editions of select actors with the gloves on, feel free to jump into the ring with them by pressing click right here. As for the “fighters”…… here we go. 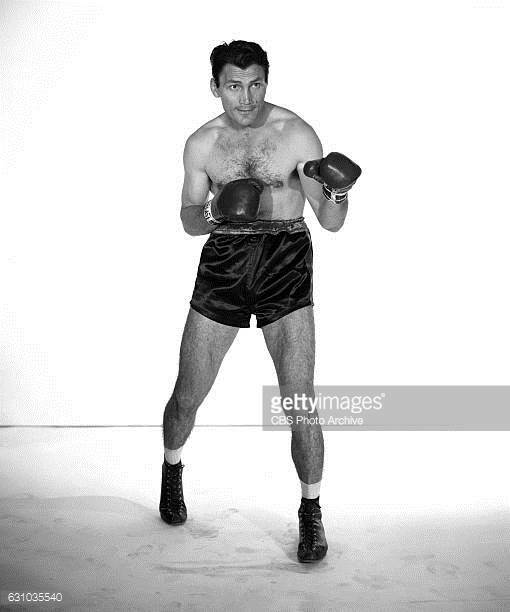 I don’t think it’s too hard to imagine Jack Palance in the ring and there’s no way I’d have tried to go 3 rounds with him. How about Dewey Martin getting some fine pointers in between rounds from Keenan Wynn and Earl Holliman? 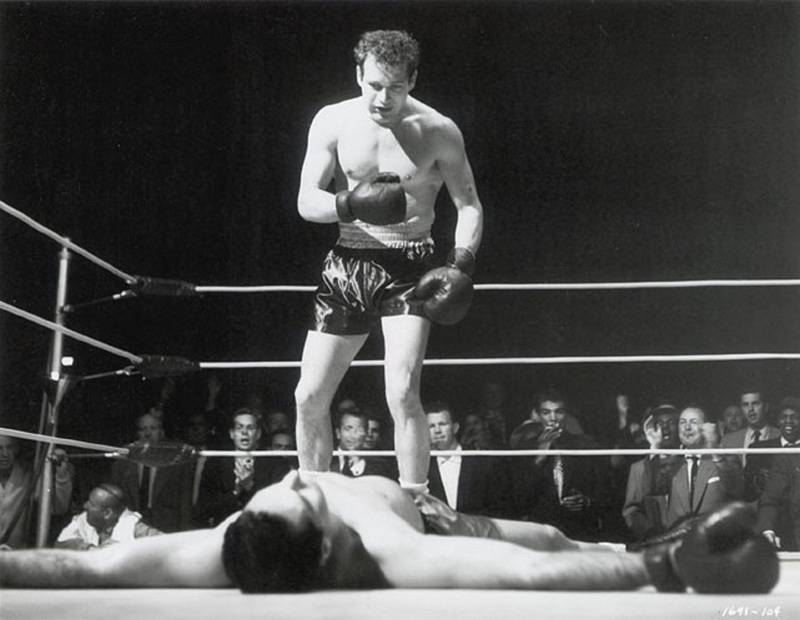 The blue eyed icon, Paul Newman, in black in white as Rocky Graziano. Laying down on the job or asleep at the wheel? Ollie isn’t very happy with his buddy Stan. 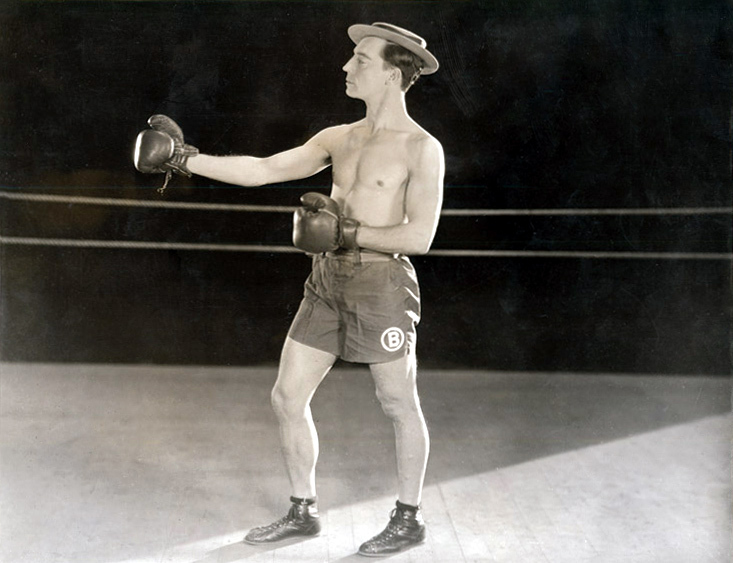 Buster looking rather dapper with the hat on and ready to spar. Who is that cowboy with his hands in the air? 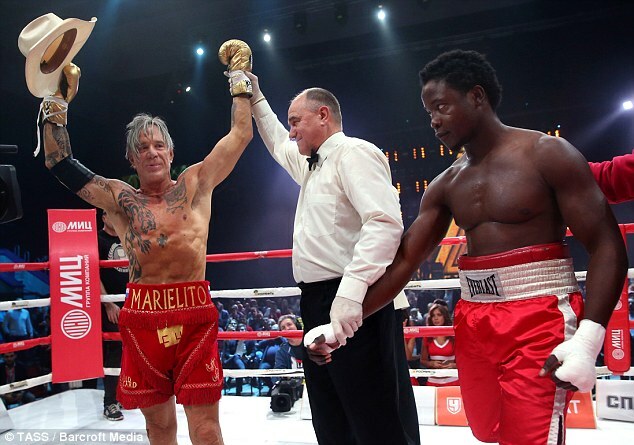 That’s your winner by decision, Mickey Rourke! I’d bet my money on Lee Marvin if given the chance. 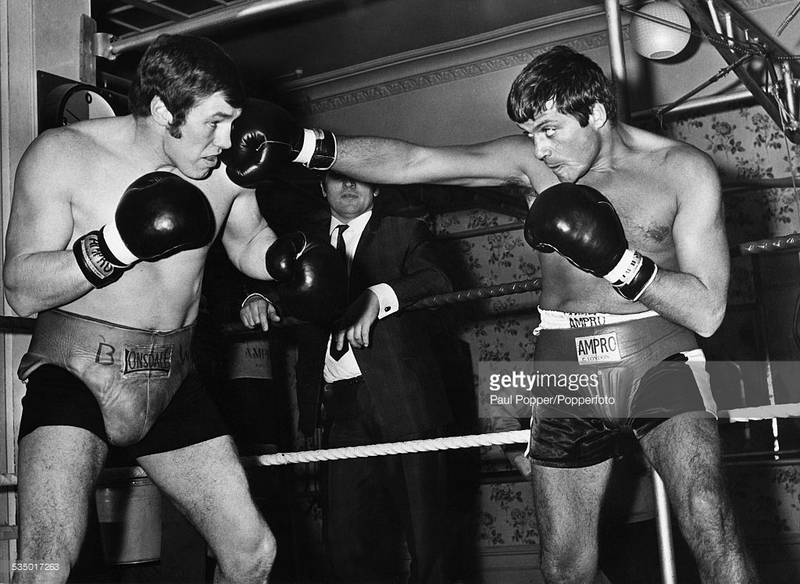 Anyone up for a few pints after Ollie Reed dusts off British Heavyweight, Billy Walker? Now let’s get real with two guys who could take the above “boxers” apart. Back when I was a rabid fight fan, this proved to be a trilogy for the ages, Irish Mickey Ward vs. Arturo “Thunder” Gatti. They left it all in the ring and we fans got our money’s worth. 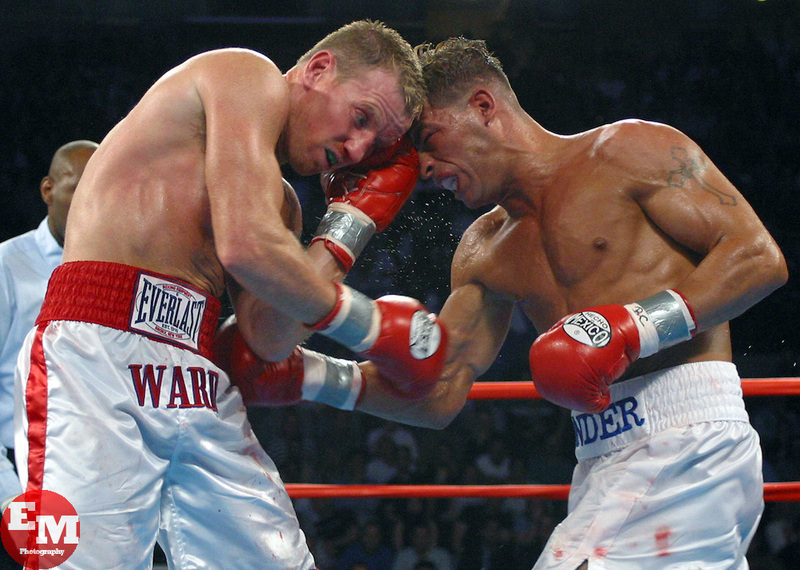 When the dust settled and the fights ended there was something special in the fact that Ward was in Gatti’s corner watching his back for “Thunder’s” next fight. Classic and would you believe the Strange Brew movie poster is currently on display in my office at work. Merry Christmas buddy. Maybe Pittsburgh this year. My intention is to be there. Cool poster to have at work! And I was thinking about that convention at times last year, but knew I didn’t have the dough to make it work. Maybe, just maybe, I’ll have enough in 2018! 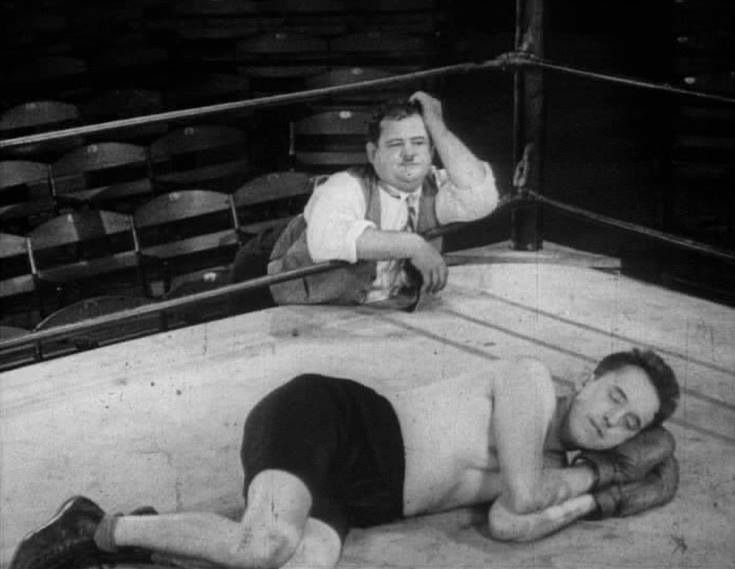 I have no idea why, but I’ve been drawn to boxing films over the years. Your stills here are a nice tribute. 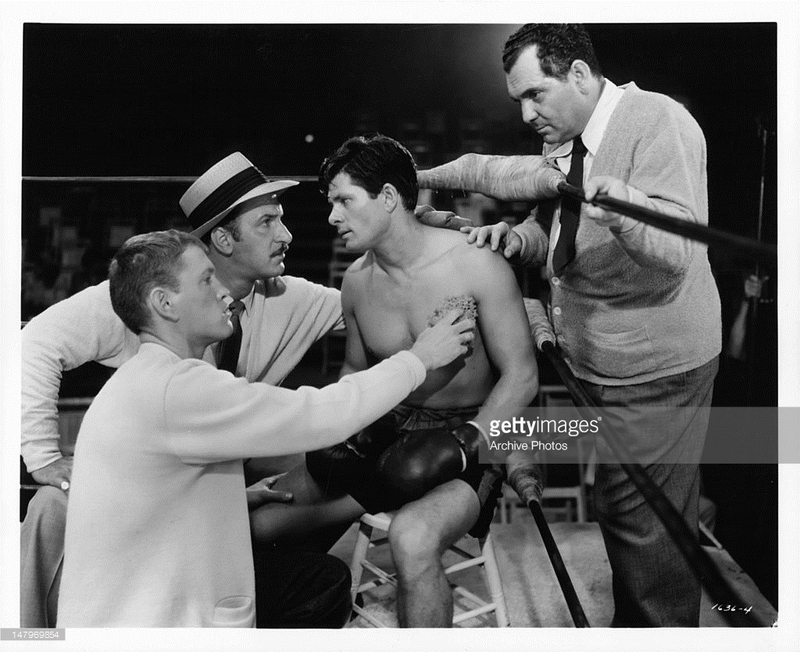 Boxing has always offered a great opportunity to screenwriters as the sub genre of sports movies has proven since the silent era till today. Just ask Rocky Balboa. Happy Boxing Day dude. What a great post. Haha I too spent some coin this morning on two soundtracks for the vinyl vault! Boys and their toys! Jack Palance Vs Lee Marvin would of been a main event brawl I recon. Throw Robert Ryan in the ring and if what I saw on the screen in The Set-Up he would’ve gone the distance with just about any body. Jack vs. Lee … love it and they did make a number of films together. Ryan in The Set Up a winner!. Then there’s my man Bronson. 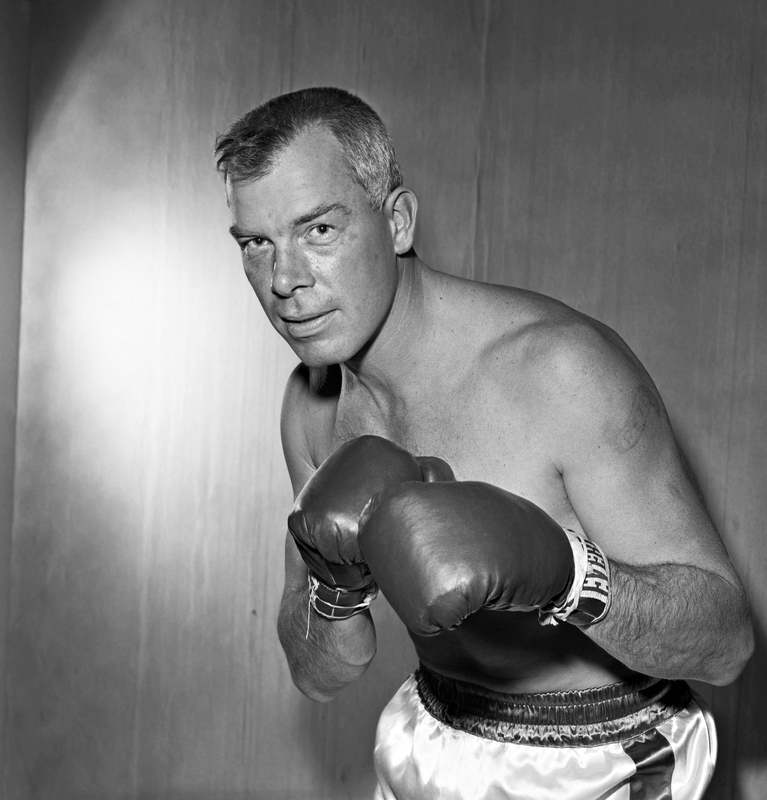 Played many boxers in the 50’s in movies and TV. He looked the part. Did not know Bronson did 50’s stuff. I bet he still looks the same age. Imagine he was born Bronson never being a baby. lol. I think the earliest thing I’ve seen Charles Bronson in was Master Of The World with Vincent Price. Didn’t know about all his earlier work. Just spied Machine-Gun Kelly in 1958 what’s that one like? made his debut in 1951 and has a boxing scene in it! Plenty of others on both TV shows and movies. Even in the background. Bob Hope Mickey Rooney movie Off Limits, Bronson sparring in a ring behind them. Unbilled and no dialogue. Just need a keen eye to spot him.